Stove pipes are necessary for adequate ventilation, but they can be an eyesore to your decor. If you want your stove pipe to have better, cleaner look, this Trim Collar will be of help. After application, it provides a more finished look to your stove pipe. 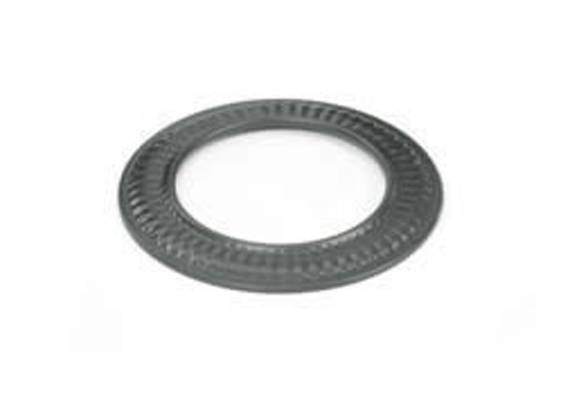 It is 7" in inner diameter, 10.75" in outer diameter, and has 24-gauge steel construction with a steel black finish. It provides 18" clearance of combustibles. This Stovepipe Trim Collar from Snap-Lock is a great value for your stove. Will this Snap-Lock black steel stovepipe trim collar go on an existing pipe without the need of disassembling the pipe? This product is intended to be used where 7" single wall stovepipe enters a masonry chimney and the area around the pipe is filled with mortar or a terracotta thimble. Normally, the pipe can be pulled from the opening if it is not mortared in place. If so, connected sections will need to be removed to slide this decorative collar over the section entering the chimney. I would definitely buy this product again. It was super simple to install. This product is not only attractive, but also inexpensive.